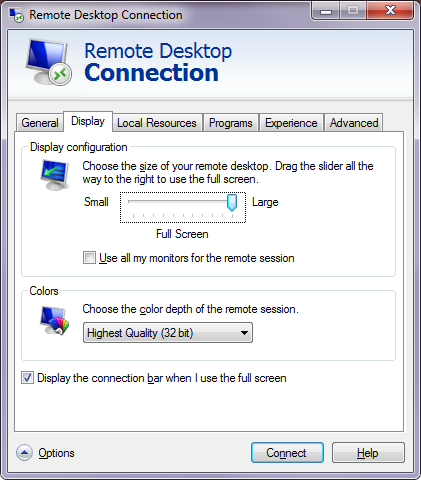 I found today a way to make the RDP session as good as my local desktop. It seems that the server limits the color depth regardless of what the client is set for. So log into your server guest. In the start menu, use the “Search Programs and File” to search for “remote”. 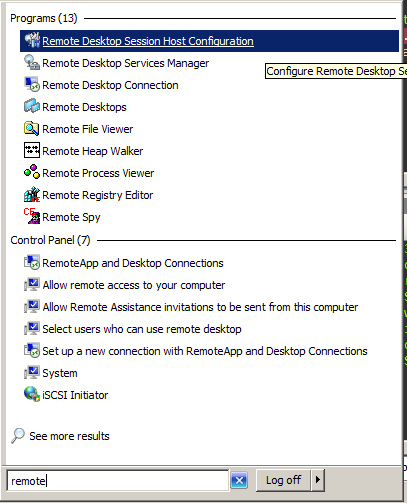 From the list of results choose “Remote Desktop Session Host Configuration”. 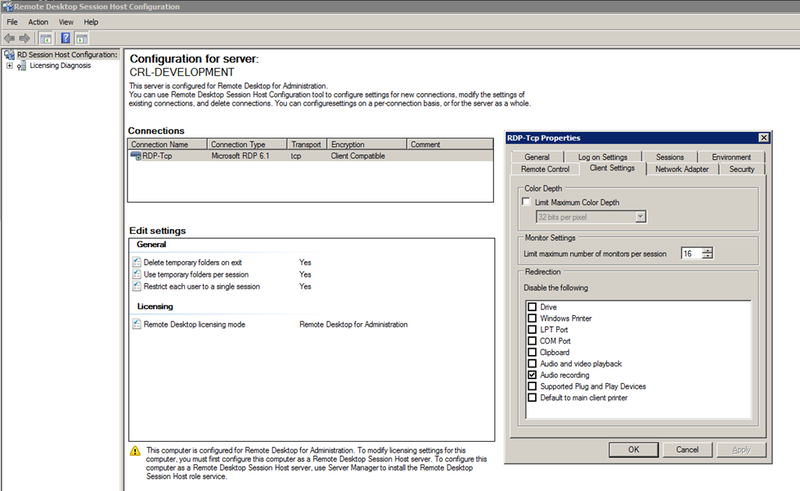 In the middle pane, right click “RDP-tcp” and choose properties. In the properties window, select the “Client Settings” tab. On that tab, in the “Color Depth” section, uncheck the “Limit maximum Color Depth” to enable full color RDP sessions. While your there, you can also uncheck the “Audio and video playback” to enable sound. To complete the sound configuration, make sure you have started the “Windows Audio” service. Log off, and back on again and you’ll have full color display and sounds!